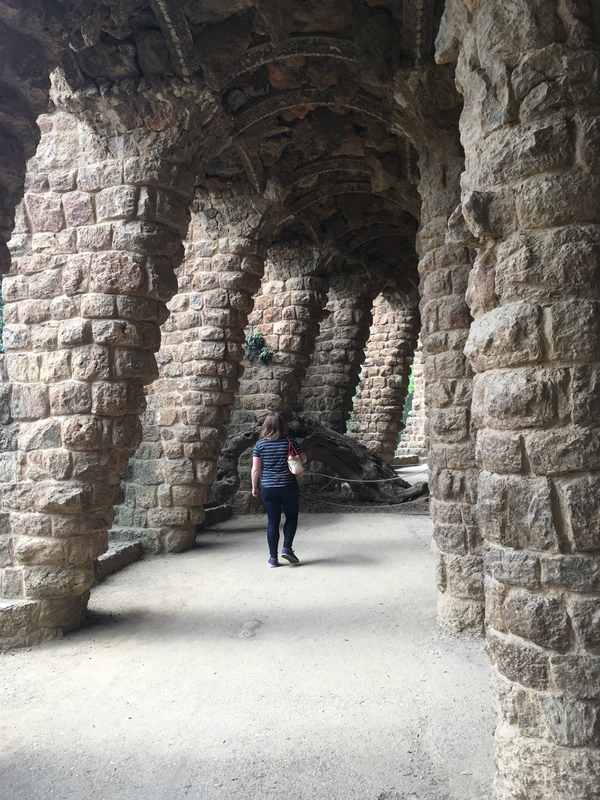 Andrew and I took a two-part honeymoon: We traveled to Scotland right after our wedding in October of 2016 and then saved up our vacation days to travel to Spain for 10 days in May of 2017, starting with three days in Barcelona. I have been wanting to visit Spain for over a decade. It all started with a missed flight. In college, I studied abroad in London and my girlfriends and I would often take long-weekend trips around Europe. We had planned to visit a friend who was studying in Salamanca, Spain, and booked a flight on the low-cost air carrier Ryanair, departing from London’s Stansted airport, which I lovingly referred to as the seventh circle of hell. Well, let’s just say we did not budget enough time to fight through London’s rush-hour traffic to Stansted and we missed our flight. Since Ryanair only had one flight to our destination a day (this was almost a decade ago, so I have no idea what their flight schedules are like now), we had to scrap the trip since by the time we got to Spain we would have had less than 24 hours before we had to turn around and come right back. We consoled ourselves at the only Spanish restaurant we could find in London with paella and sangria. Since we did so much, I’m going to write separate posts about each destination and I’ll link them all above. 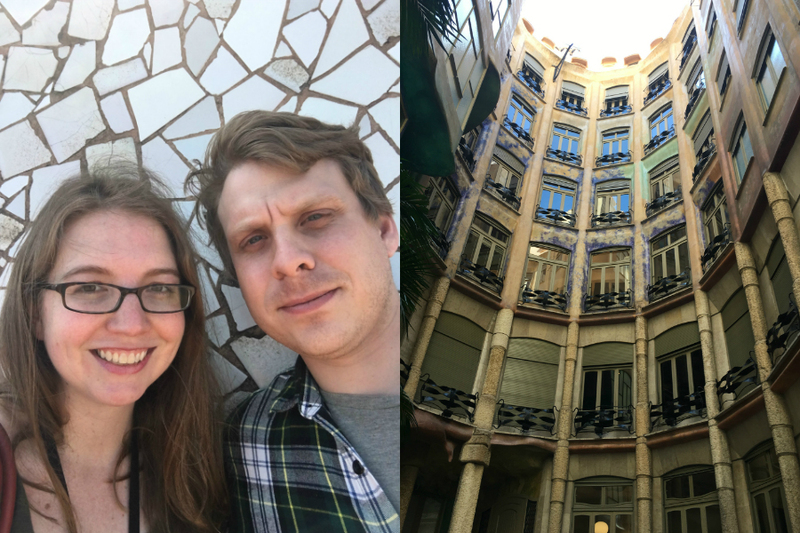 First up, our three days in Barcelona! 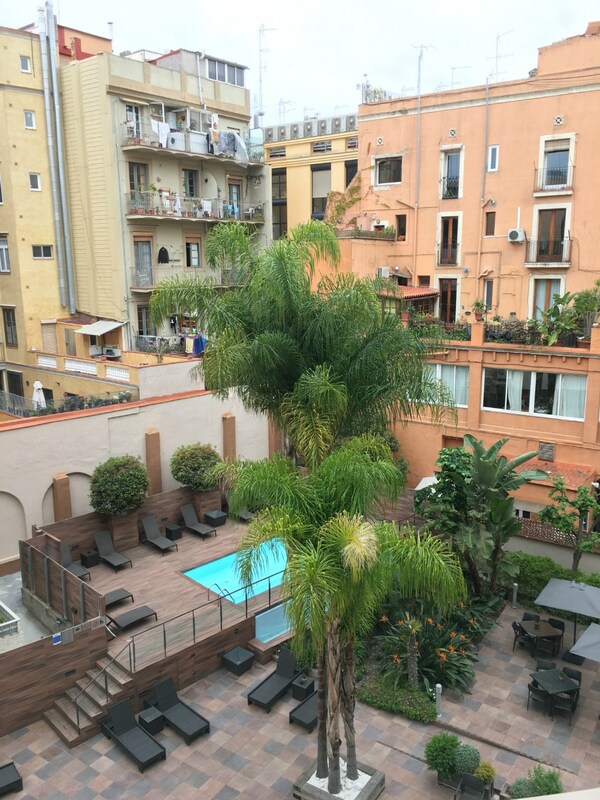 We stayed at the Hotel Catalonia Portal de l’Angel and I would give the hotel 3.5 out of 5 stars. 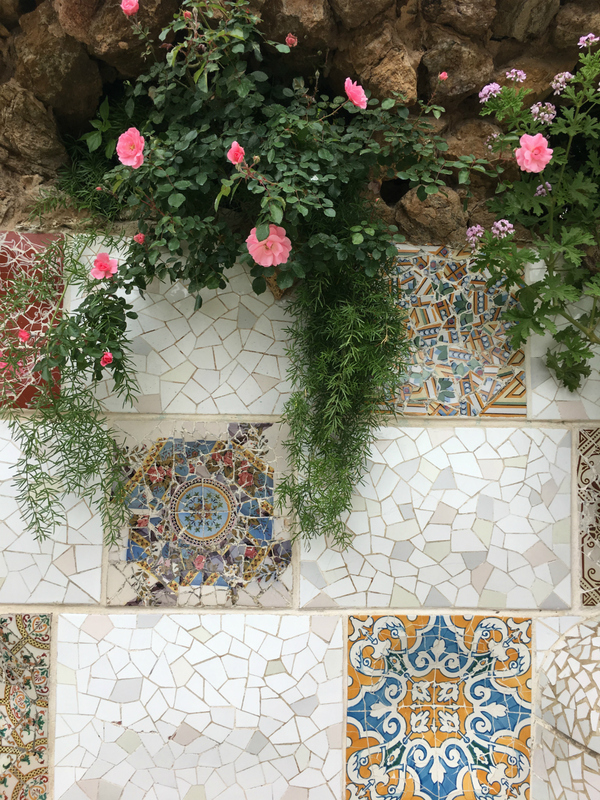 Pros: A very central location within easy walking distance of both the Gothic Quarter and the Eixample neighborhoods, as well as a subway line. 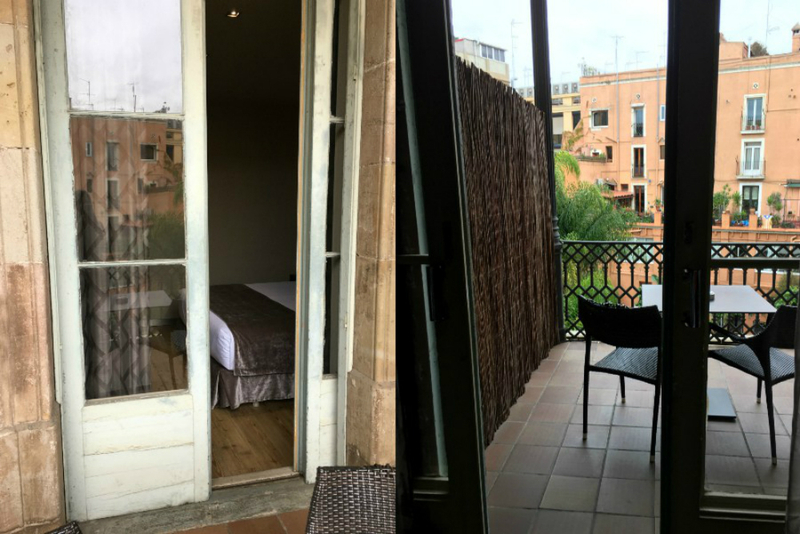 We also had a room with a large private balcony overlooking the back courtyard, which was the best feature of the hotel. We enjoyed sitting out on our patio in the evenings and sharing a glass of wine together before heading out for dinner. Cons: Though the location is very centralized, it is on a very busy shopping street with stores like Zara and H&M next door—not exactly a neighborhood with character. Also, I felt the service at the hotel was a little sub par for the price. As an example, when I asked for a corkscrew to open a bottle of wine, I was told that the hotel only had one, so I’d have to bring my bottle down to the bar to get the wine opened. 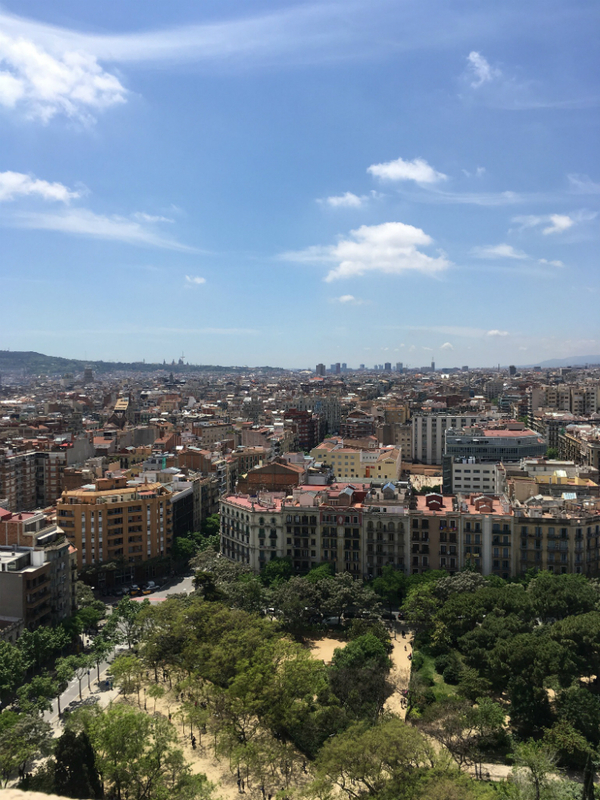 I’m sorry, but it’s impossible that they only have one bottle opener… Overall, the hotel was a serviceable and comfortable base of operations for our stay in Barcelona. After a little rest to recover from our jet lag, we headed to the Gothic Quarter for dinner. It is true that most restaurants do not open until 7 or 8 o’clock at night. Andrew and I really didn’t have a problem adapting to this though. We just kind of moved all our meals back, and we also didn’t mind being the first people in a restaurant when it opened at 8pm. 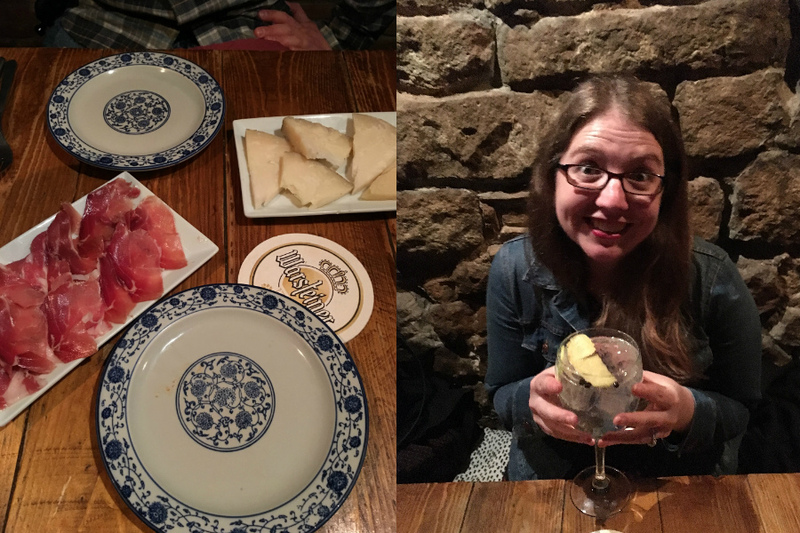 We had a very traditional tapas meal our first night at La Alcoba Azul, and it was one of my favorite restaurants that we stopped at in Barcelona. Highly recommended! We split jamón Ibérico (a must-have in Spain), manchego cheese and a few other tapas. I was also introduced to my new obsession: Spanish gin tonics. You guys, gin and tonics in Spain are like nothing you have ever experienced. First of all, they are served in humongous glasses that look like a cross between a margarita glass and a red wine glass. Insane! Second, they are garnished with all kinds of fun extras, like pink peppercorns, thyme sprigs, star anise, orange peel, apple slices…it’s heaven! I had sooooo many gin tonics on this trip (lose the “and” when ordering in Spain). Tip: Spain is a very cash-centric country! We stopped at a lot of cash-only restaurants and shops, so make sure you always have some on hand or you’ll miss out on great locations. 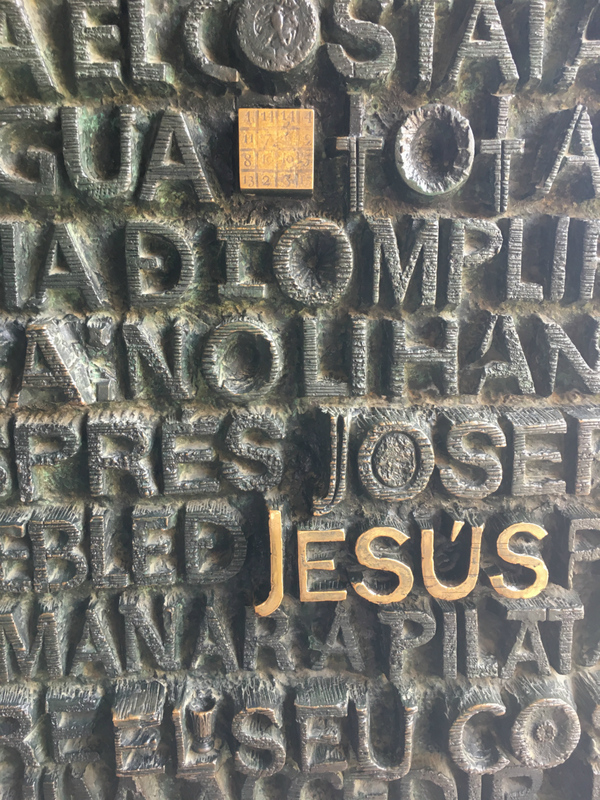 Our first stop on day two was La Sagrada Família, the basilica designed by Antoni Gaudí that is still under construction to this day—they have been working on it over 150 years! Tip: Buy your tickets online ahead of time! 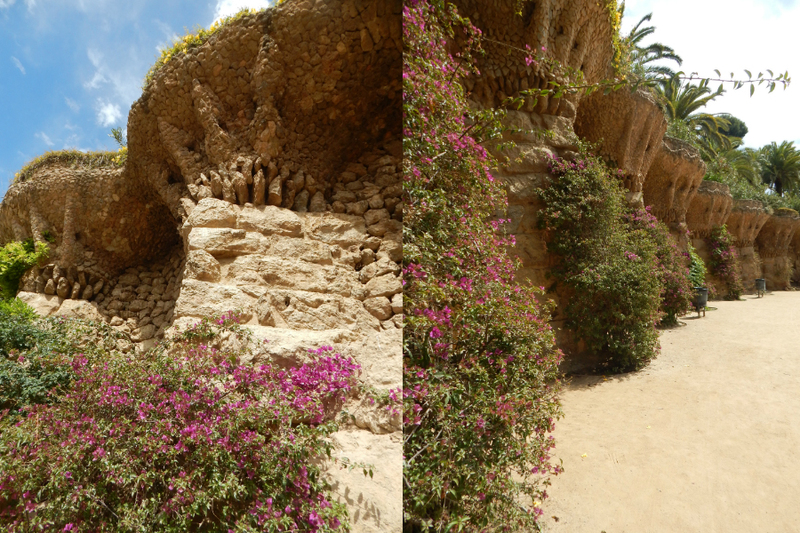 Entrance to La Sagrada Família is timed. If you buy your tickets online, you can show up at your appointed entry time and get right in. If you wait to buy at the basilica, you will have to stand in a ticket line and then wait around for your entrance time, which could be an hour or more of waiting time before you even get to enter. 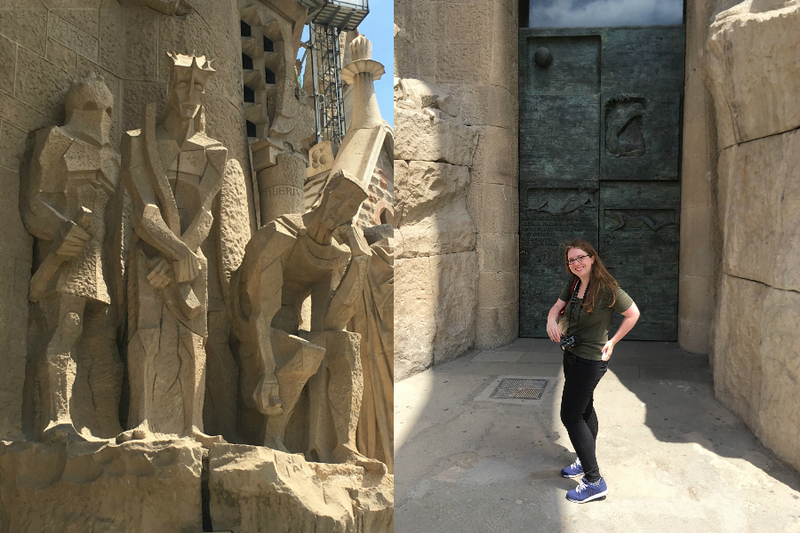 Also, make sure to book a separate ticket to visit one of the two towers! This entrance is not included with the general ticket. You need a second ticket (also with a timed entry) to go up into the towers. 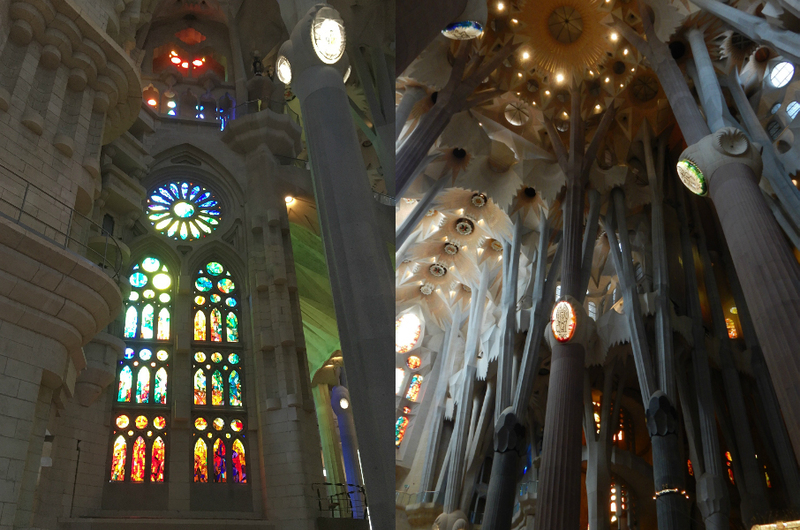 We got the Top Views ticket package to see everything, and visited the tower on the Passion facade. 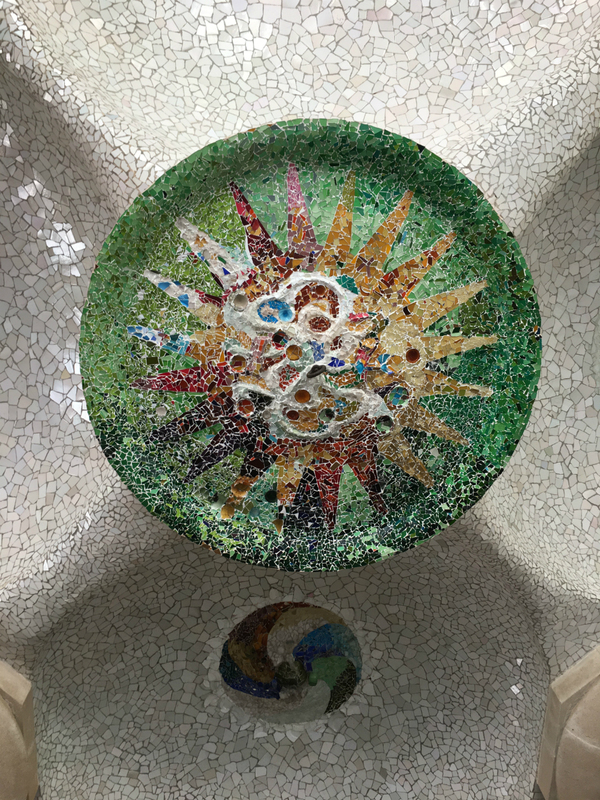 Each side of the basilica has its own character. 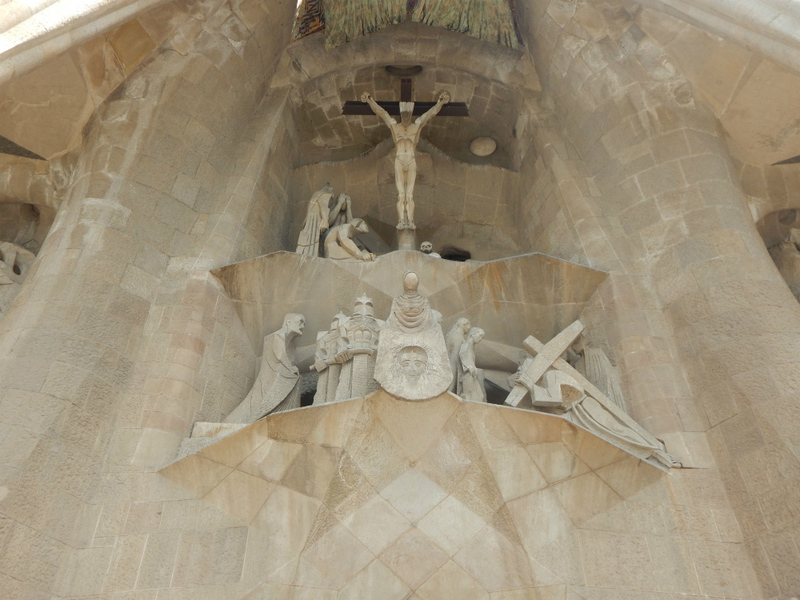 The Nativity facade is intricately carved with elaborate animals, flowers and figures representing the holy family. 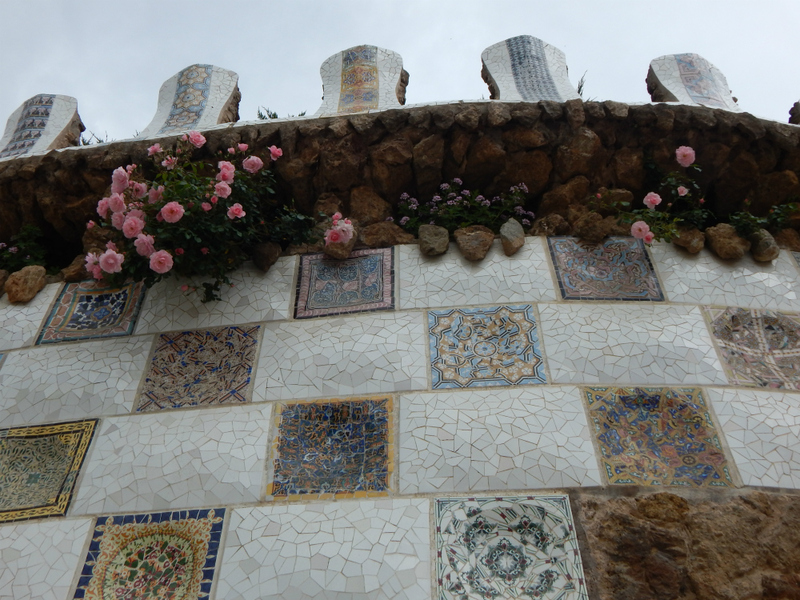 It is perhaps the most traditional of the facades, with soft, flowing lines. 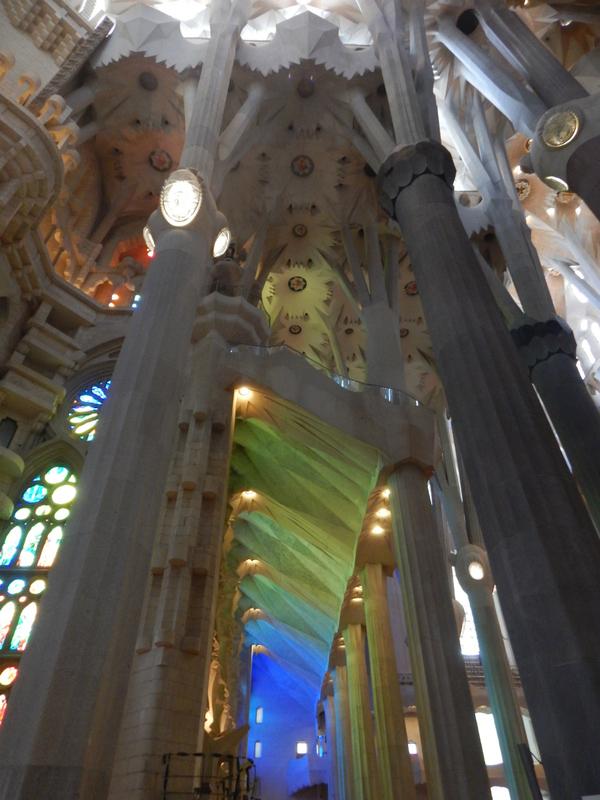 Once you step inside, you enter a forest of white columns that soar up to a starburst ceiling above. The stained glass windows paint the eastern side of the interior in warm sunrise hues of red and orange, while the western side is bathed in twilight colors of blue and violet. 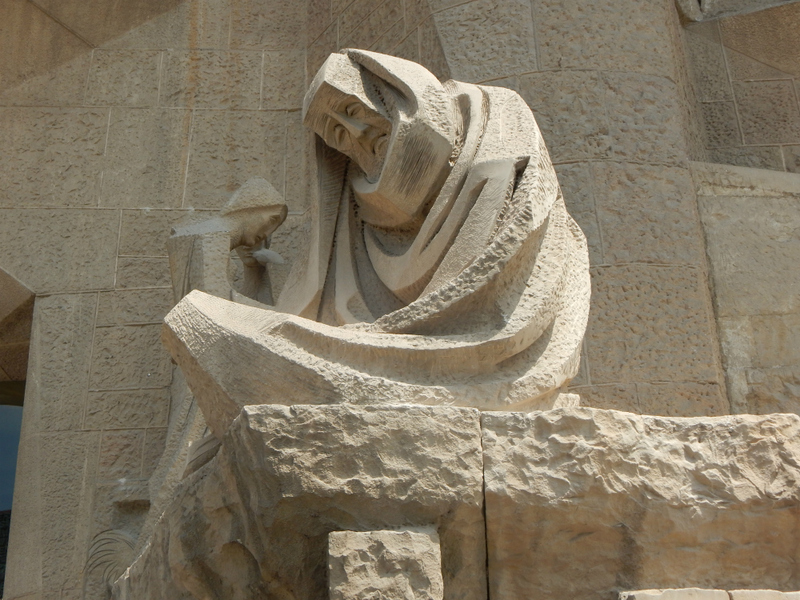 The Passion facade was perhaps my favorite because of the modern, almost surreal style of the figures. They had the feeling of chess pieces come to life—incredibly striking and eerie. 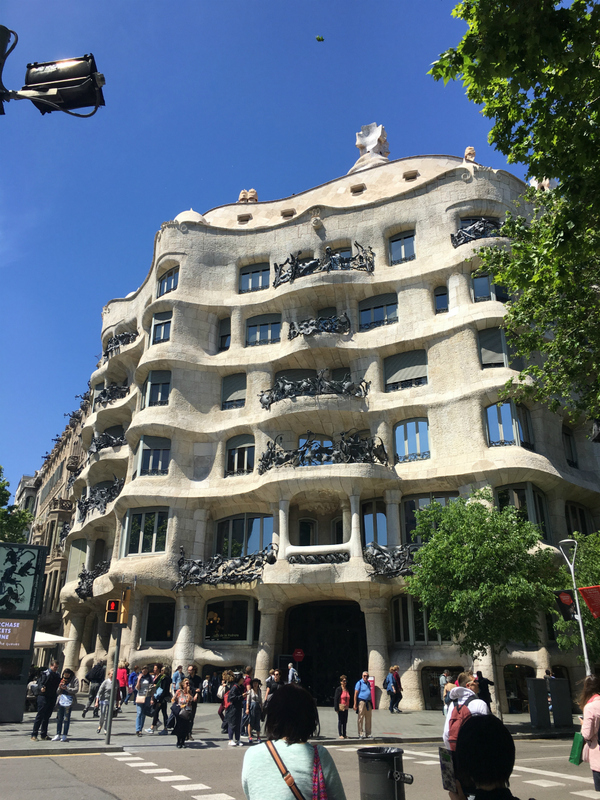 After our visit to La Sagrada Família, we walked into the stylish Eixample neighborhood to visit La Pedrera and Casa Batlló, both located on the busy Passeig de Gràcia. The road is a nice stroll, akin to walking down Fifth Avenue in New York City, past designer shop windows and beautiful apartment facades. 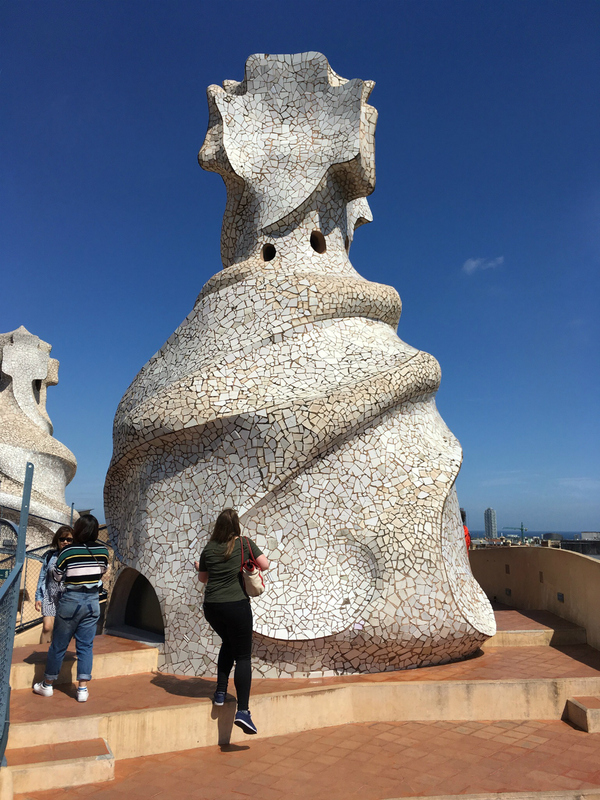 We visited the interior of Le Pedrera, but were feeling a bit tired after all our walking in the hot sun, so we opted to skip the interior of Casa Batlló. 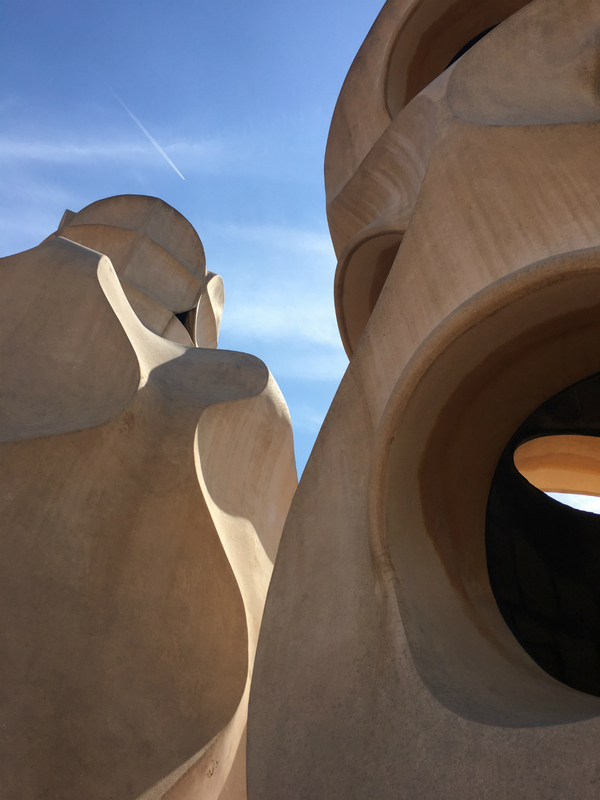 My favorite part of Le Pedrera was the rooftop, which is dotted with tiled sculptures that look like giant rooks, and an undulating layout that reminds you of shifting sands. 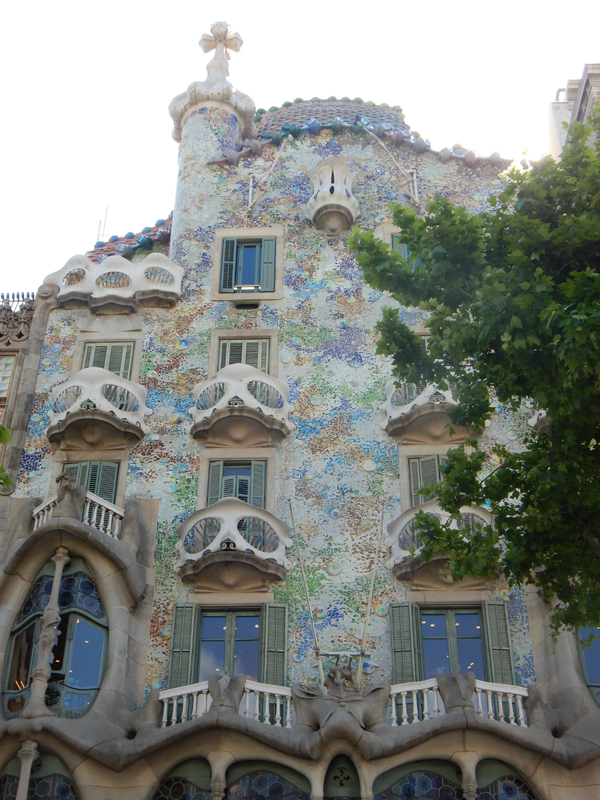 The exterior of Casa Batllo was absolutely gorgeous. 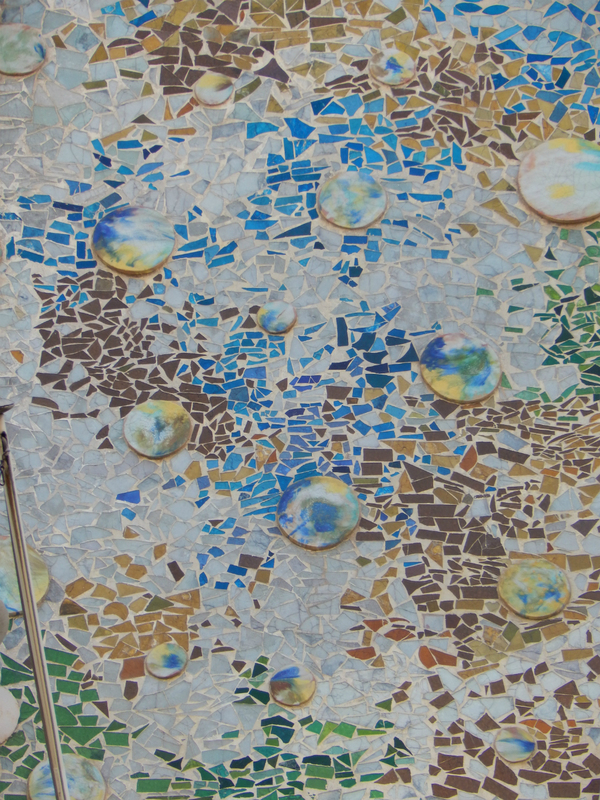 It is studded with a rainbow-colored mosaic that shimmers in the sun like dragon scales. For the evening, we headed to the Poble Sec neighborhood to do a tapas bar crawl on Calle Blai. All of the restaurants on this road specialize in a type of tapa called pintxos or pinchos, which is a bite-sized tapa typically served on a slice of bread and speared with a toothpick. 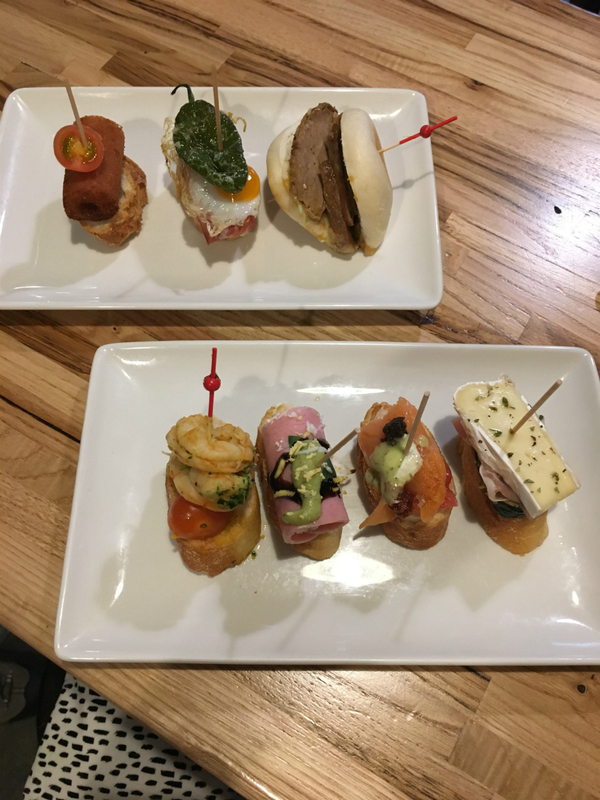 You help yourself from a bar lined with jewel-like pintxos, then the waitress counts up your toothpicks at the end of your meal to know how much to charge you. Our favorite was La Tasqueta de Blai, but we also liked Blai 9. 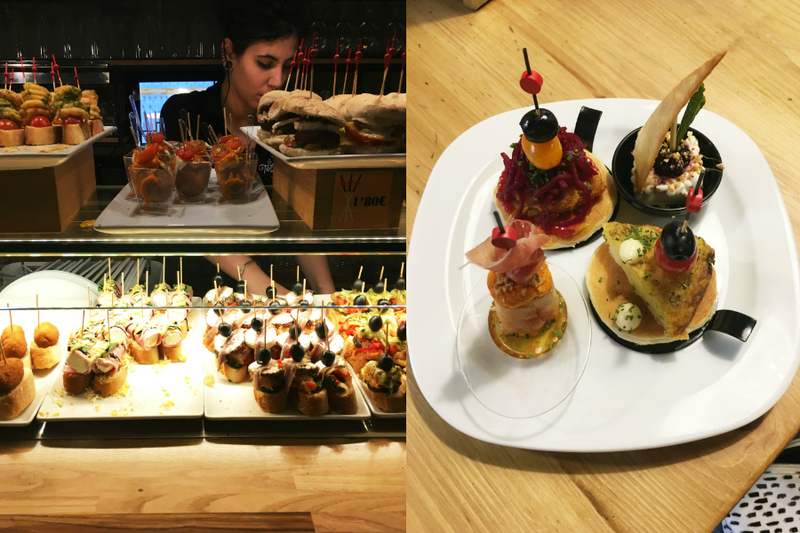 It’s fun to stroll down the street, grab a caña (small beer) or vino blanco and a few pintxos at each bar. 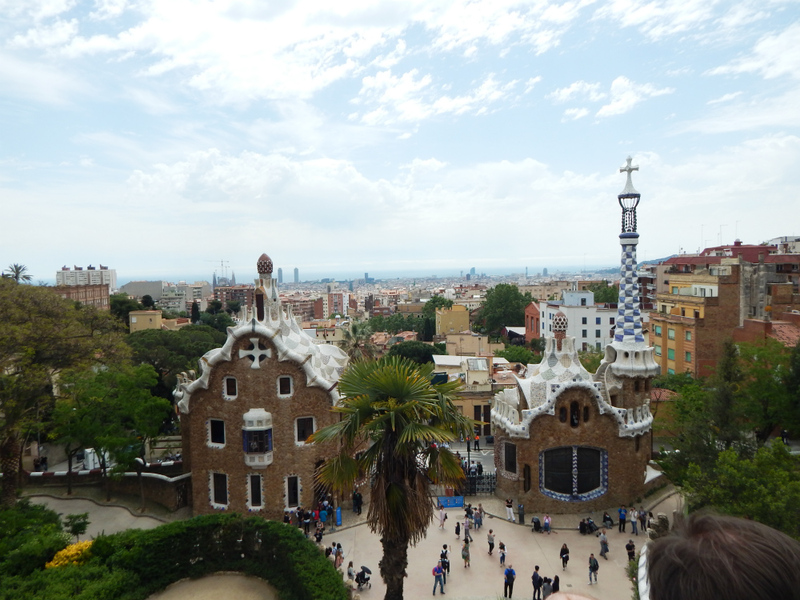 For our last day in Barcelona, we took the subway up to Park Güell, another Gaudí must-see spot. 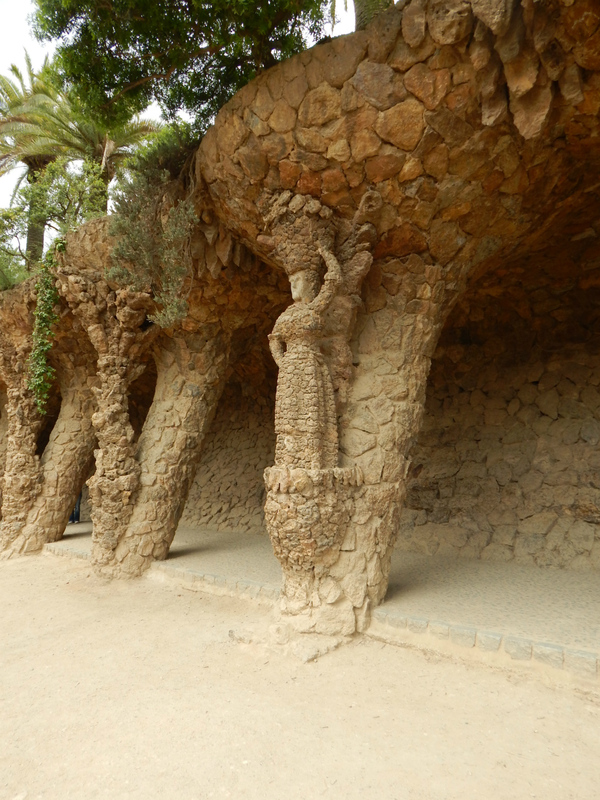 This sprawling park was originally designed as a planned community, and highlights include some of Gaudi’s best mosaic work and whimsical slanted avenues. 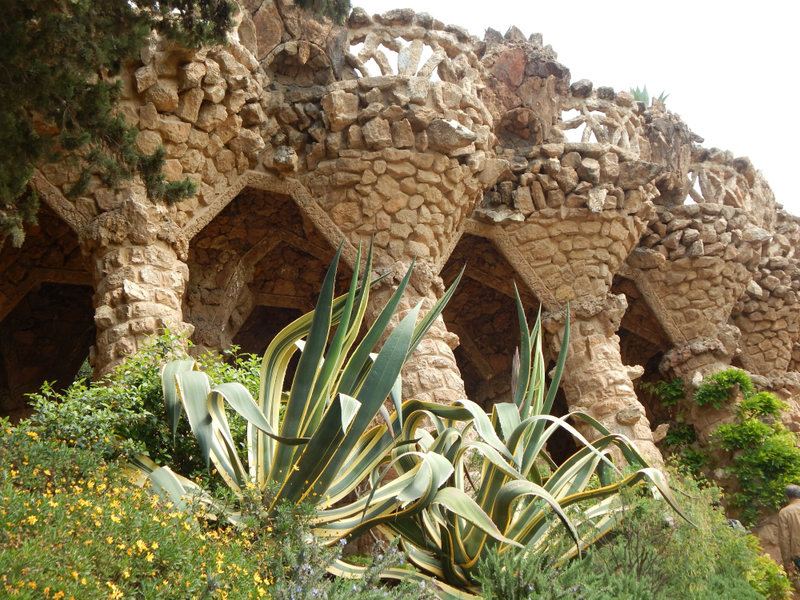 Tip: Just like for Sagrada Familia, you should purchase your tickets in advance online for Park Güell. There are two sections of the park: the free-access area, which you can explore anytime at your leisure, and the Monumental Zone, which requires a timed entry ticket. 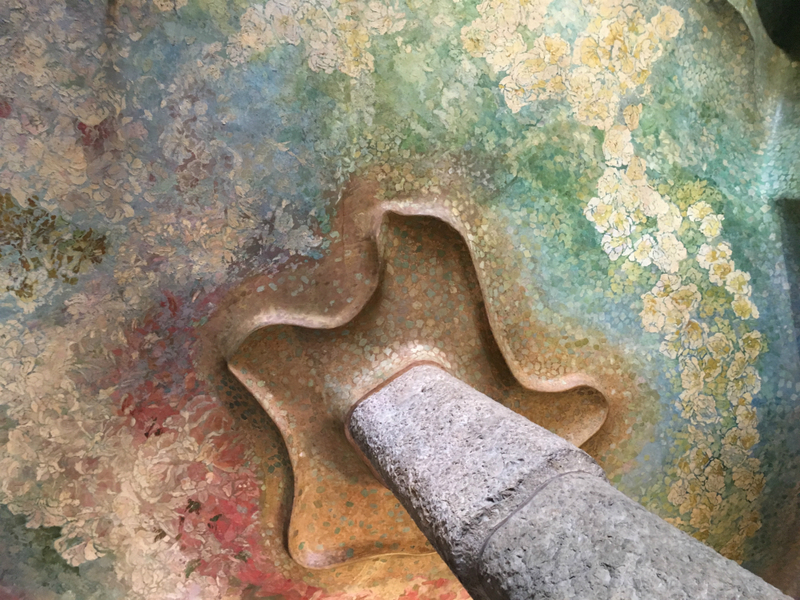 All of Gaudí’s best architectural works are in the Monumental Zone, so you definitely want to make the effort to visit this section. I recommend arriving 30 minutes to an hour before your timed entry time to explore the free-access zone before entering the Monumental Zone.